I think that anyone who has donated Bone Marrow knows what a painful and insidious procedure it is. However, because this procedure can save a life… it’s endured. Daniel Kraft, a pediatric oncologist and stem-cell researcher at Stanford University, has a great deal of experience harvesting bone marrow. Through his experience and research, Dr. Kraft developed a device called the Marrow Miner. 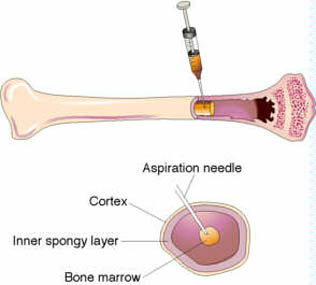 This device quickly harvests bone marrow with minimal pain to the donor and may actually enable you to bank your own marrow stem cells when you’re young, in the unfortunate case you would need them later. I don’t know about you, but anything that might encourage more bone marrow donors is a good thing. This ultimately could result in an increased survival rate for those with diseases such as Leukemia and Lymphoma. Check out Daniel Kraft's Ted Talk, where he explains his new invention and the difference it can make in collecting bone marrow.